The mechanics behind acne prone skin, up until this day and age is still a mystery. There are various ideas and hypothesis, some which we will investigate further in this article, as to why some bodies are more prone to zits and pimples then other. The first thing you have to realize, before heading to your pharmacy, is that there really isn’t a one-size-fits-all cleansers. Each face, each skin, is a different story (Normal, Dry, Oily and Combination). Each body’s endocrine system works differently. Plus, there is also other factors to consider. Age: aging skin and teenage skin. Hormonal: menopause and puberty can cause chaos to our systems. Environment: Urban settings are dirtier and investigations have proven that city landscape cause a irritants than will flare up our ability to produce zits. Weather: humid and hot weather is a melting pot for skin problems. The best way to fight, and actually win the unending war against zits and acne – mind you it’s a war that will rage on in your body till’ the day you die – is by seeking professional help. A good dermatologist will evaluate your personal lifestyle, your skin, and all other factors and give your an individual and tailor-made approach on how to overcome your problems. Nevertheless, there are some excellent face wash for dry skin, and for oily skin over-the-counter remedies that will help in your struggle. This is all around magic bullet cleanser. And it’s one of the best face wash for acne prone skin. No frills, no fancy doodads, just a cleaner made and manufactured to do the hard and dirty work. It is one of the most gentle cleansers in the market right now. Cetaphil is an easy to use alchemical syrup made for sensitive skins that dissolves dirt, oils and make-up without striping skin. It is an award-winning little gem that comes ready for battle right out of the bottle. Its gelatin award-winning, eight ingredient formula, doesn’t need any water to activate. Slap it out of your handbag, apply a dollop of it and rub gently. Once you’re done wipe the excess and feel emollient coat your skin and give your a healthy shine. 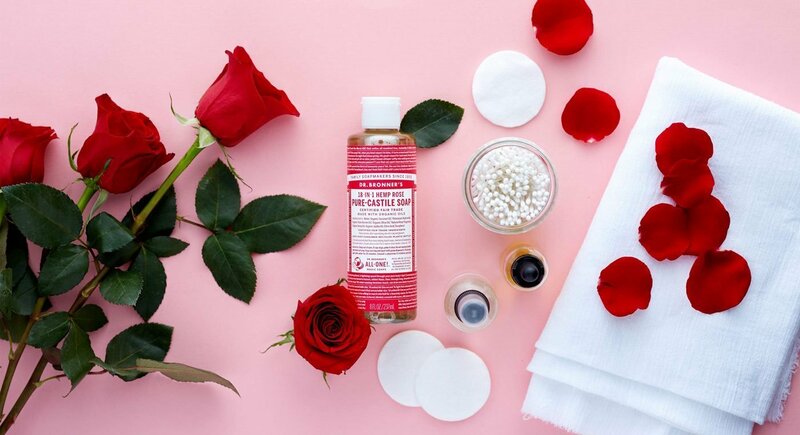 Big selling points: Removes makeup and dirt, won’t clog pores, and helps maintain your skin’s natural pH. It’s non-alkaline, non-comedogenic formula won’t dry up your skin. Sulfur Soap is the original acne care product. It’s what your grandparents and parents used. If you can stomach the smell of brimstone then Sulfur Soap might be your ticket to a fine smooth skin. The National Institute of Health names sulfur as one of the most natural and robust antibiotics in existence. It revolutionized medicine in the 1930s and has become a pillar against bacterial infections since then. Sulfur soap is the all natural option for skin problems. Sulfur in general tends to be gentler on skin. It works the same – as an antiseptic – as Benzoyl Peroxide and Salicylic Acid but does not irritate the skin. 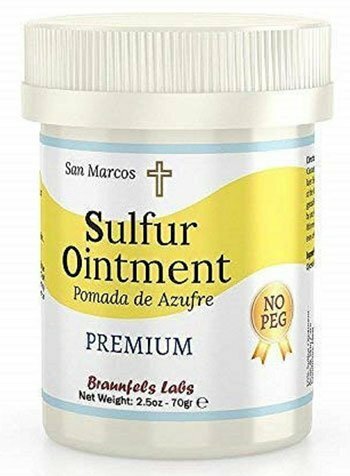 Sulfur helps dry out the surface skin and absorb excess oil. It does wonder for whiteheads and blackheads, not only scraping away dead skin cells but sebum. Plus, like all remedies from archaic times, Sulfur Soap works for a myriad of other illnesses and fleshy dilemmas. Take a wallop to bed bugs, mites, chiggers, ticks, lice, and ringworms. Kick and cleanse fungal infections. Use it to wash out wounds. And, because it’s the philosopher stone that keeps on giving, it actually helps reduce the appearances of scars. The original from your teen years. Most likely your first acne cleanser… And, what’s more importantly: IT ACTUALLY WORKS! 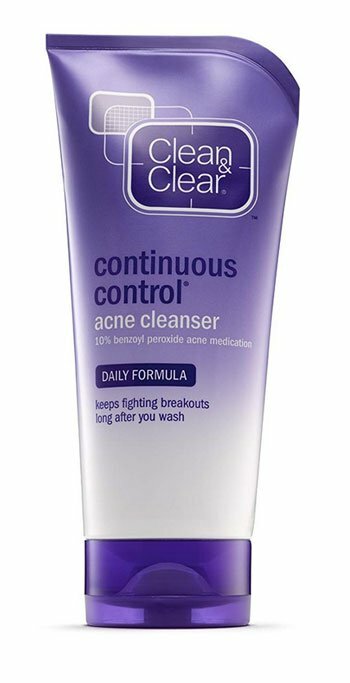 Clean & Clear offers a smorgasbord of ingredients tailor-made to not only wash your skin but zero, in like a drone strike, on those insurgent pimples It contains up to 10% of Benzoyl Peroxide – an organic compound that’s among the World Health Organizations list of essential medicines. Benzoyl Peroxide, first used in 1905, is one of the most important antiseptics out there. But, and here’s the hiccup, Clean & Clear is recommended for extreme cases. Benzoyl Peroxide, it’s main key ingredient, will leave your skin dry. And, Clean & Clear, out of all the products on this list, has the highness ratio of Benzoyl to its formula. The company tries to calm the negative effects by employing Menthol for a cooling and tingly effect, but over-use of the product might cause skin irritation, dryness or peeling. So, here’s the BIG tip, don’t get addicted to it; give your skin a break if you sense it’s short-circuiting. This is the NUMBER 1 skincare brand in Europe. It won, thanks to it’s clinically proven – reducing excess surface oil up to 47% – Allure’s Best Beauty Award in 2016. 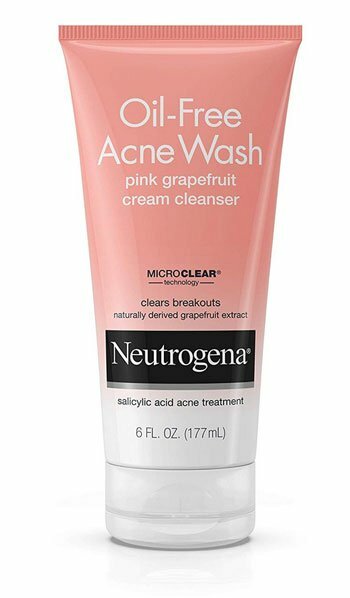 It’s one of the best face wash for acne prone skin. 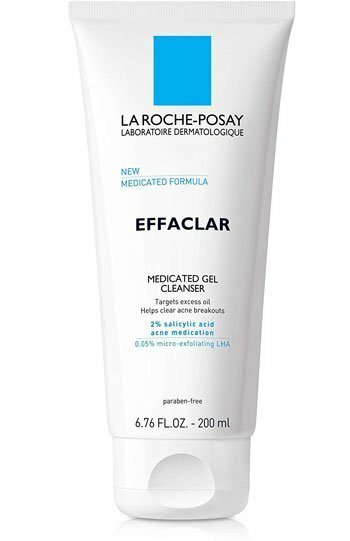 La Roche- Posay is an offshoot of L’Oreal. The umbrella company giant tweaking their skin-care formula since its founding in 1909. This Cleanser has been going through the rigors since it’s inception over 20 years ago; each new iteration boiling with fancy avant-guard add ons. It’s mildly exfoliating formula has proven to work wonders on oily skin. It is the number one brand suggested Dermatologists. The latest formula not only contains an aseptic salicylic acid but a small amount of hydroxy acid. The latter working as a micro-exfoliant that buffs everything away and smooths out skin. Clean Pore is the acne equivalent of buying a shampoo that is also a conditioner. This little wonder packs a double punch by pulling double duty as a daily cleanser and face mask. As a daily cleanser it attacks zits and acne. As a face mask it uses micro-exfoliants to deep clean your pores. With a 3.5% Benzoyl Peroxide formula, Clear Pore somehow masks or polishes out the dry skin puzzle and quandary with oil controlling kaolin and bentonite clay. It’s a great non-irritant for that 3 o’clock sheen that is always hunting our steps. Clogged pores and devilish blackheads? 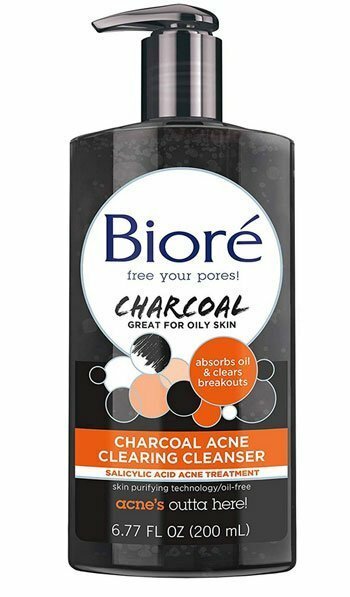 Then your best bet is to try an all natural approach Charcoal has been used as a solution for acne, oily flesh and skin problems since the time of the pharaohs. Its main component has the marvelous ability to get to the root of skin problems…Clogged dirty pores. 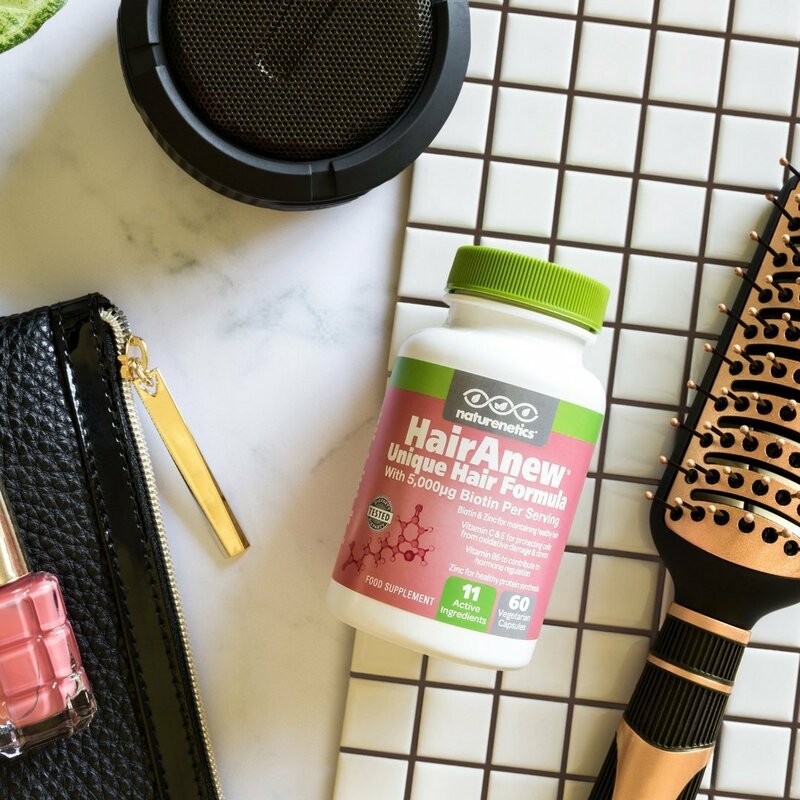 Bioré spices up that old-time formula for success by adding its patented skin purifying tech with micro-exofoliants and the ever useful salicylic acid. Now, here’s the rub: it’s a fairly scary formula. Using not only a high dose of charcoal, but different acids that in the long run will irritate your skin. f your skin is on the sensitive side then it’s better if you steer clear. Swarming with vitamin C – an essential vitamin with amazing benefits not only to your overall health but your skin. Benefits like: boosting your collagen production, fighting free-radicals, preparing sun damage, brighting dark spots, skin repair, giving you a healthy dose of Magnesium Ascorbyl Phosphate and L-Ascorbic Acid. 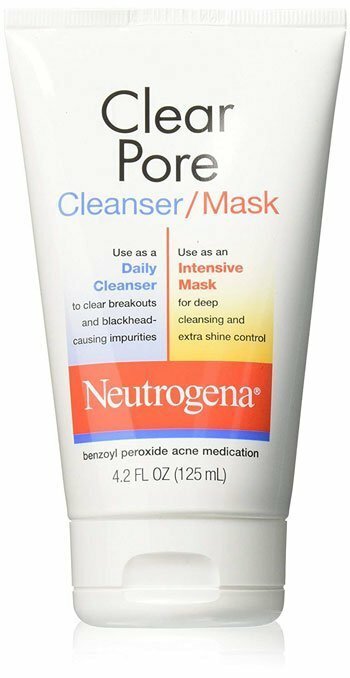 Neutrogena’s cleanser is a sensitive and tender ointment. It is one of the most delicate, due to its Oil Free mixture and Vitamin C Rich formula, lotions in the market right now. It’s a nonirritant solution, with little to no side-effects that fight off red marks and pesky acne before sprinting to work or school. Infused with the smell and tonic of pink grapefruit its 6-ounce fluid presentation not only contains the right balance of acids and oil-free ingredients for targeting and destroying acne, but also a naturally derived grapefruit extract that infuses your skin with Vitamin C while also giving you a free aromatherapy session (a scientifically proven way to fight off stress and reduce the amount of sebum on your skin). PanOxyl, like Clean & Clear, is one of the stables of teen’s fight against acne. It’s one of the oldest American skin care products in existence. This little gem is as wholesome and American as apple pie. 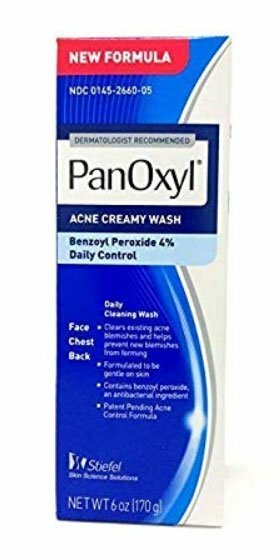 PanOxyl creamy wash is a quick and painless solution for a breakout. It’s filled with Benzoyl Peroxide and lactic acid and other essential oils. 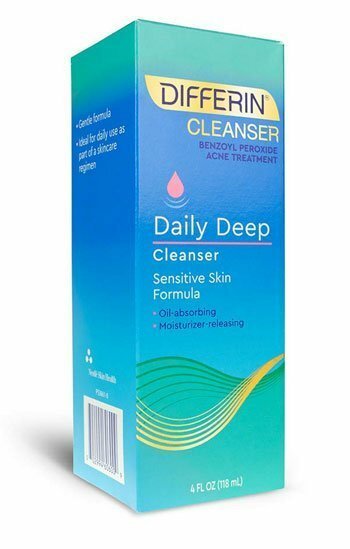 Chosen by Woman’s Health as one of the best product for skin condition out there, Differin’s Cleanser ups the ante by somehow managing to find a perfect balance between oils and acids. It offers a dual action, with its micronized scrub formula, that penetrates and disintegrated excess oil, while leaving a moisturizing by-product that makes the skin shine. Great for taking a bat at impurities, bacterias and gently removing last night’s Joker makeup – yup, the one you thought made your eye look like a does, but actually brought out the inner clown. Dermatologist Mona Gohara, M.D. associate clinical professor at Yale. TLRs: Toll- Like Receptors present in your skin that asses threat. Zits are these receptors way of fighting off infections and inflammatory problems. Something as innocuous as a glass of wine can trigger these receptor and cause an outbreak. These TLR are the ones responsible for acne outbreaks after a sunburn, or an ingrown hair, or a cut. Stress: our body handles heartache and stress in difference physical manners. One of them is by producing and excess of sweat and sebum; which in turn makes our skin prone to acne. Our Environment: a dirty ambiance, one brimming with contamination and pollution, is an accelerant for radical skin conditions. Everything from eczema to skin cancer. Pathogenesis: if your parents had acne, then you’re more likely to have it too. In actuality it maybe a genetic condition. Metabolic: our metabolic process may in fact be responsible for our acne breakouts. Our body has a hard time processing certain products, like soy, dairy, sugar and alkaloids. Whenever our body comes into contact with these elements it instantly tries to “push-out” the excess trash – so to speak. These toxins cascade out of our pores and sets off our skin Receptors (TLRs) causing our skin to become irritant and prone to zits. Pharmaceutical companies, with their various lotions, combat one of the many reason that can lead to a pimple pandemic. They are instrumental in the fight against dirty skin and bacteria. Get a goodnights sleep: while your snoozing your skin’s repair mechanism swings into action.